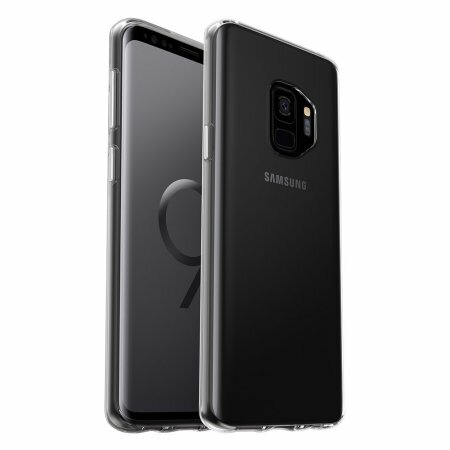 The dual-material construction makes the Symmetry clear case for the Samsung Galaxy S9 one of the slimmest, yet most protective case in its class. The Symmetry series has the style you want with the protection your brand new phone needs. I was worried this would be a step down from the Otter box commuter which kept my.old phone safe from all manner of disasters for FIVE years. But it seems very good: solid with a rubber edge, not too slippery either. The bezel down the long sides don't jut out as much as that at the top and bottom, But somehow the phone seems protected, even here. Buttons a bit stiff and would've still preferred a commuter if that existed (no idea why that's available here), But v happy with it, given how clumsy I am. With the Samsung protector I feel my phone is well armoured. It fits perfectly around my phone amd shows the pretty color of my phone. Light weight and feels great in my hands. My phone was dropped twice after putting the case on, not a scratch.... perfection. Otterbox are quality cases that do there jobs brilliantly.